Lexa Hilliard QC is a popular and well-respected silk who is recommended by the legal directories as a leading silk for commercial dispute resolution, commercial chancery, company, insolvency and professional negligence. Her expertise also covers arbitration, banking and finance as well as fraud. 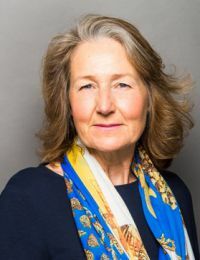 She regularly advises in connection with off-shore disputes in the Channel Islands, the Caribbean and the Isle of Man. Clients note that she is: “keenly commercial, incredibly passionate and works seamlessly with the team” and that she has: “hugely impressive advocacy skills and strategic input.” She regularly handles high value, legally complex cases in both the domestic and international market, acting both as advocate and expert. She has particular experience of cross-border litigation, often involving an insolvency or civil fraud angle. Her ability to be “highly inventive and always think of new ways to approach a case” allied to her: “no-nonsense approach” ensure her success with judges and tribunals as well as clients. She handles a wide range of substantial claims, especially those touching upon professional negligence, insolvency and company issues. Between 1990 and 2011, she practised from South Square. Prior to that, she lectured in law at Durham University. She regularly provides talks, podcasts and webinars and is on the Commercial Litigation Editorial Board of Lexis PSL. Contributor to Company Directors Duties, Liabilities and Remedies (Ed. Mortimore OUP). She is also currently involved in the new edition of Shareholders’ Agreements (Thomson Reuters).